For a course in transportation engineering in the Civil Engineering Department. 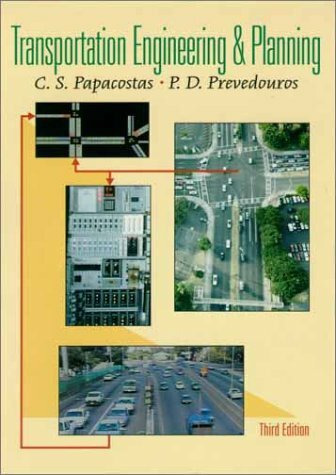 This detailed, interdisciplinary introduction to transportation engineering serves as a comprehensive text as well as a frequently cited reference. It begins with the basic sciences, mathematics, and engineering mechanics, and gradually introduces new concepts concerning societal context, geometric design, human factors, traffic engineering, and simulation, transportation planning, evaluation.